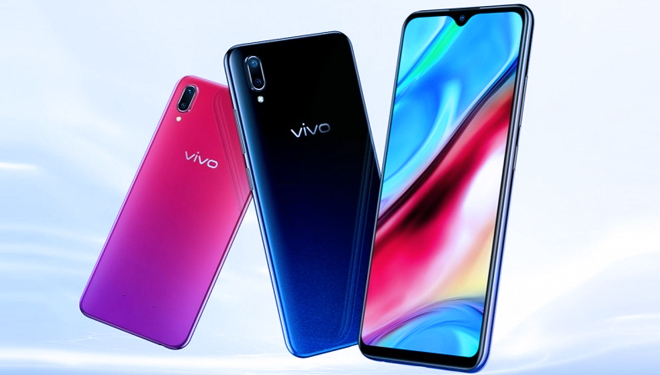 Vivo Y93 is Newly Introduced, What are the Specifications? TIMESSINGAPORE, JAKARTA – Vivo Y93 was officially introduced as the newest smartphone of Vivo on Thursday (1/11/2018). This smartphone is the first smartphone which is powered by the Snapdragon 439 chipset and built on the 12 nm FinFET process. Then, what is the complete specification of Vivo Y93? Reporting from Tabloid Pulsa, this smartphone is also powered by a large power capacity battery, with a screen design with a trendy "waterdrop" model and a dual camera feature. Vivo Y93 has a 6.2-inch LCD screen with HD + resolution and a screen aspect ratio of 19: 9. On the other hand, the performance of this smartphone relies on the Snapdragon 439 chipset, supported by 4GB RAM, 64GB ROM, and microSD availability on this smartphone. This new chipset comes with eight Cortex-A53 cores, 1.95 GHz clock speed, and support for managing graphics of the Adreno 505 GPU. The use of this chipset supports cameras up to 21MP, but Vivo Y93 is only equipped with dual cameras with a configuration of 13 MP aperture f / 2.2 + secondary camera 2 MP aperture f / 2.4. while the front camera has an 8 MP resolution f / 2.0 aperture and is equipped with the Face Unlock feature that you need if you want to protect this device, because Vivo Y93 doesn't have a fingerprint scanner feature. Like all the latest generation of Vivo devices, Vivo Y93 is also equipped with a voice assistant made by Vivo, called Jovi. This Jovi voice assistant feature is part of FunTouch OS (which is based on the Android OS Oreo 8.1).